Fastest Response Time in Metro Detroit! DRYmedic® is a full-service Michigan water damage restoration company with over 20 years of experience and providing 24/7 emergency service in the Southfield area. 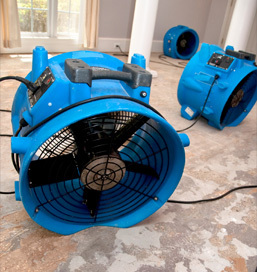 When it comes to water damage, it's critical to act quickly. If you've experienced water or flood damage in your home or business, call us immediately. We have the fastest response time in Metro Detroit. Our mission is to make your restoration project go as smooth and as fast as possible. We make the process simple from a complete on-site estimate to on-time completion of the job. DRYmedic® has built relationships with most of the local insurance companies and can handle your insurance claim. Our sole focus is to restore your property in the safest, fastest manner with minimal disruption to your family or business. DRYmedic® Restoration Services is a team of experienced disaster restoration professionals. Our technicians use industry-leading equipment and trusted techniques to restore your property after fire or water damage. Our number one priority is to quickly bring your property back to its original condition. Water is capable of finding its way through even the smallest cracks, which means water damage can go undetected for weeks, or even months, at a time. This can cause wood to rot and lead to serious structural damage. In a porous substance like drywall, mold starts to grow within 24-48 hours of water damage. If you've experienced a flood, call DRYmedic® first and avoid a bigger problem. When you call DRYmedic, we send a team out right away. Our experts are equipped to handle everything from residential basement floods to commercial water main breaks quickly. We keep you up-to-date on your project at all times. As part of the process, we will provide you with all of the necessary documentation for your insurance provider. We start by inspecting the damaged area to determine loss with both non-penetrating and penetrating moisture meters. We'll issue an "Emergency Work Order Agreement" that, once signed, will authorize us to perform necessary work and bill your insurance company. We do not collect any deductible owed at this time. Our water remediation equipment will be left on site for 3-5 days. Depending on the job, we may check in to perform moisture readings or adjust equipment. We will conduct a final moisture test and inspect the affected areas to ensure the drying process is complete. Most insurance policies mandate that we mitigate damages immediately, so no estimates are required up front. Within 24 hours of our initial response, our estimator will come to your home and prepare a full assessment detailing the scope of work for your restoration. DRYmedic® assists families and businesses across Southeast Michigan with their water extraction, sewage cleanup, and flood and water damage restoration needs. Call us anytime, 24/7, for all your water damage emergencies! The contents of this webpage are Copyright © 2019 Drymedic. All Rights Reserved.